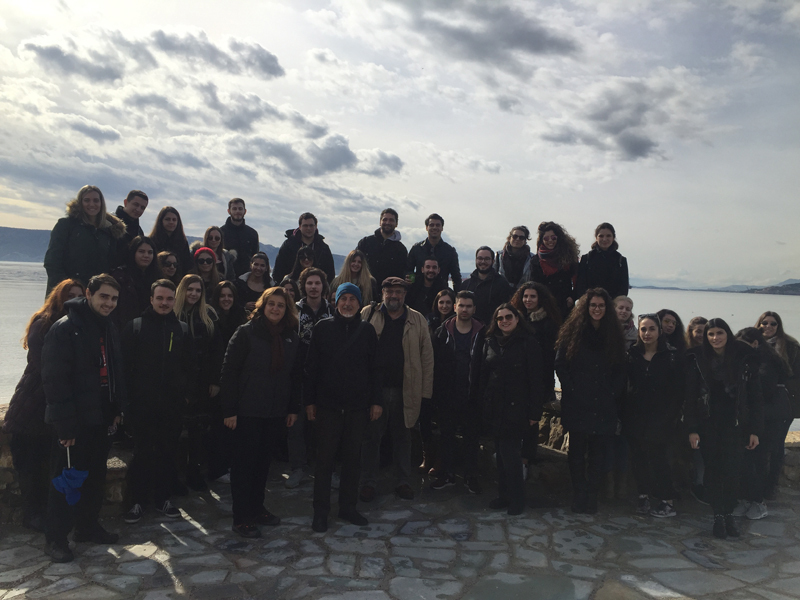 At the beginning of the year, the heads of the Education and Training Sciences program of Athens University of Economics decided, in view of its success, to replicate the Entrepreneurship, Education and Culture class in collaboration with the association Diazoma. 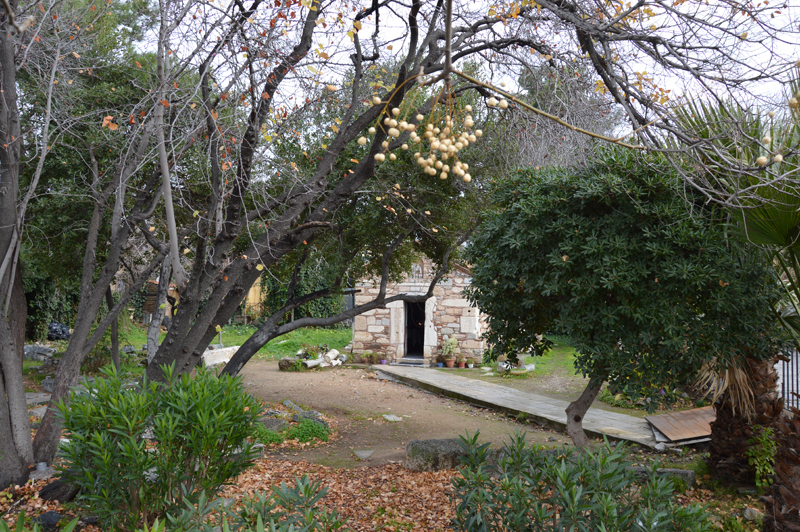 Proposals for exploiting the cultural richness of Elefsina as part of the Athens trilogy. Throughout the semester, the students, divided into groups, will have the opportunity to meet entrepreneurs and scientists, some of whom are Diazoma collaborators, members and / or volunteers. the proposal of actions that can be implemented to optimize the benefits from such an exploitation at the social and economic level. Theodore Benos, economist, researcher and consultant in the agri-food sector, Diazoma volunteer. 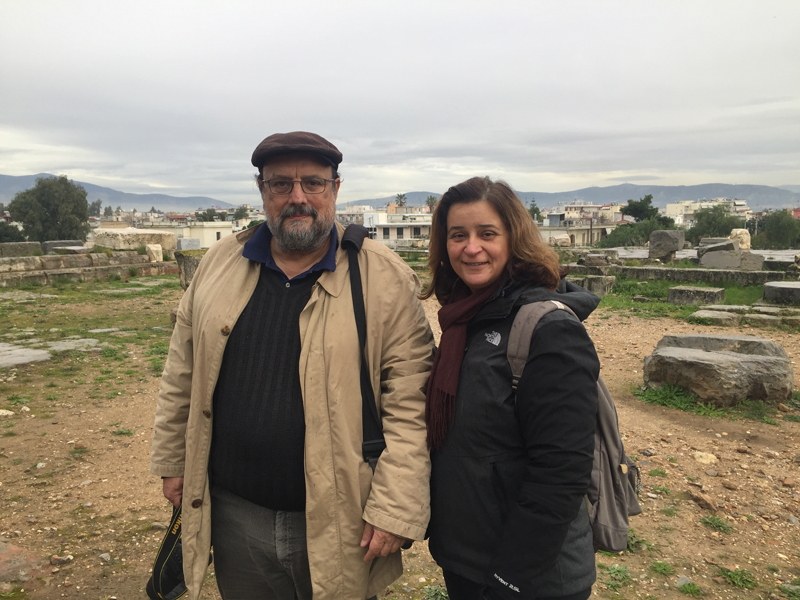 The work of the first ranked team will be presented at the 5th meeting of Ano Diazoma in June 2019 in Athens. The summary of the top three articles will be published in the XENOPHON secondary education economical journal and in a foreign language journal. 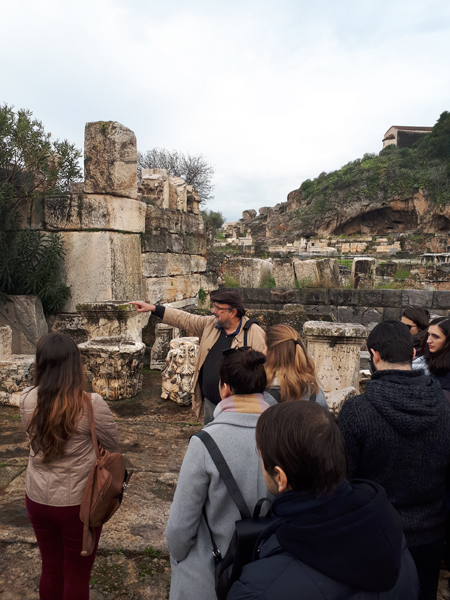 With the end of the winter semester of 2018-2019, and in particular on Wednesday 9 January 2019, a meeting took place in AUEB, through which the two innovative successful actions of the curriculum of TEP AUEB of the last years with the scientific responsibility of Dr. Vasiliki Brinia: “Art and Education” in collaboration with the Athens School of Fine Arts and “Entrepreneurship, Education and Culture” in collaboration with DIAZOMA Association. As “values” are raising the art and its connection with education, entrepreneurship and its connection with our culture, values that should be cultivated through the education of teacher-candidates- economists and computer scientists who will work in the future in Primary and Secondary Education. 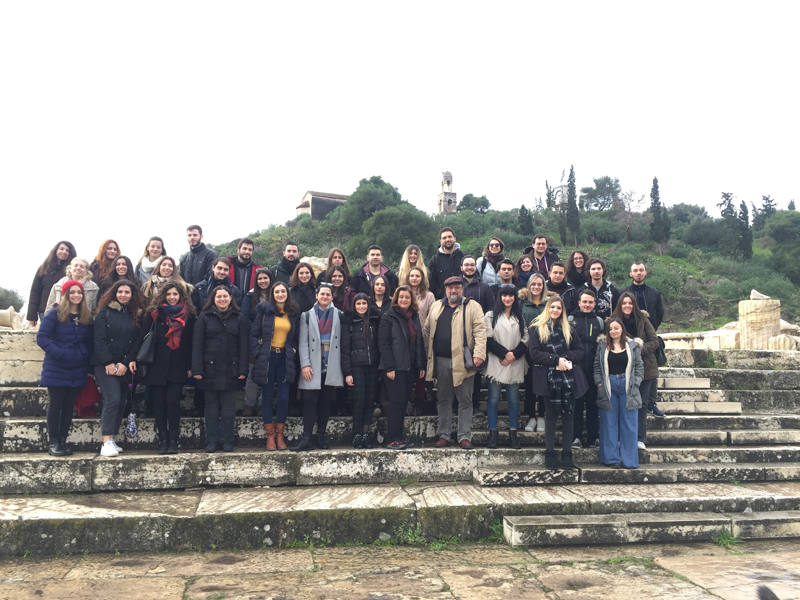 So on Wednesday 9 January 2019, a meeting took place, which marked the beginning of a series of meetings and of another spring semester project that students will conduct in groups and which will be about the innovative action “Entrepreneurship, Education and Culture” in cooperation with the DIAZOMA Association. 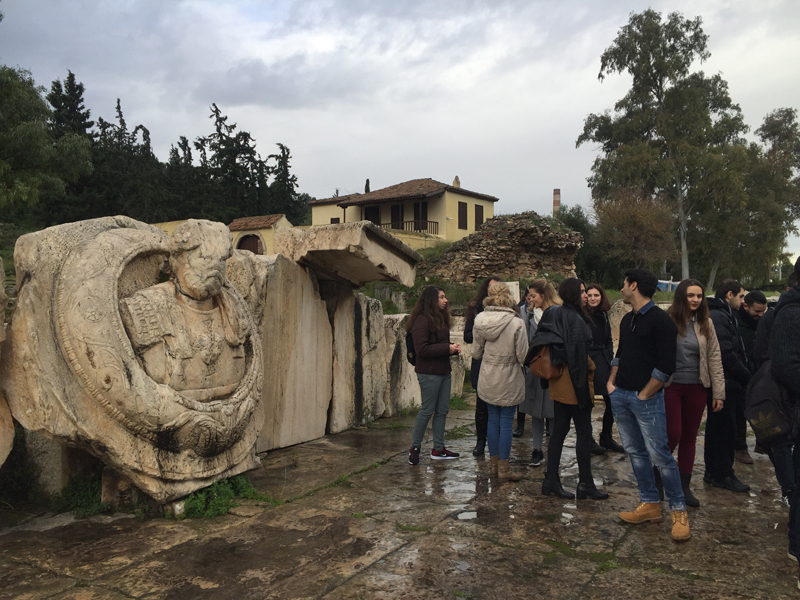 At this meeting Dr. Panagiotis Mastrantonis, volunteer in DIAZOMA, discussed with students issues related to the archaeological site of Eleusis. Historical data on the site and statistics on its visit to-date were presented. 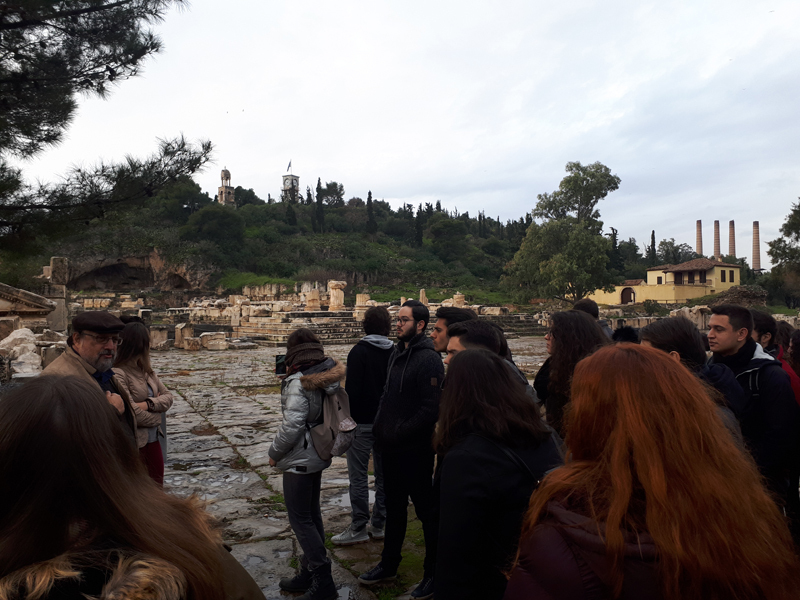 Finally, there was a discussion about the area surrounding the archaeological site and how it could be utilized in a holistic way both in educational terms and in entrepreneurial terms within the context of tourism in view of Eleusis as the European Capital of Culture in 2021. 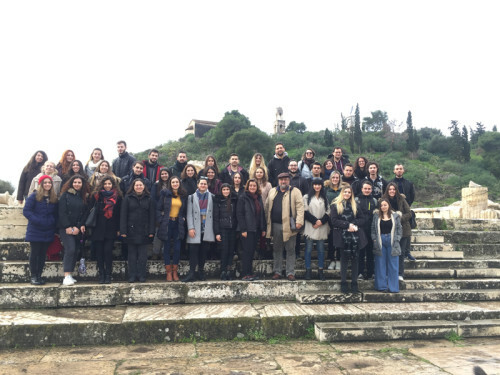 On Friday 11 January 2019 the students of the TEP AUEB with the accompaniment of Dr. Vasiliki Brinia and Dr. Panagiotis Mastrandonis carried out field research at the archaeological site of Eleusis and in Eleusis city. 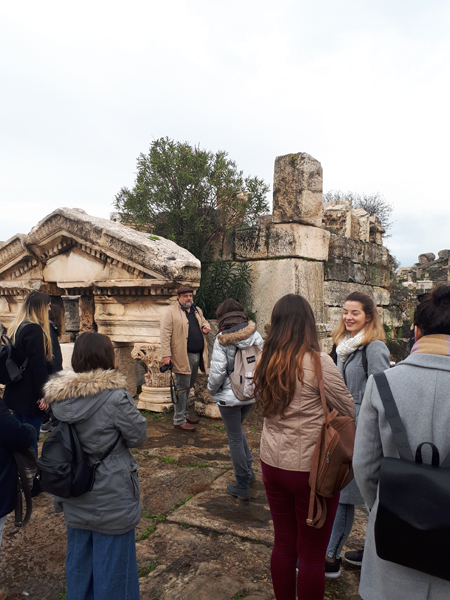 In particular, they visited the archaeological site and were guided by Dr. Panagiotis Mastrandonis, while they saw and discussed closely what was presented in the room on Wednesday 9 January 2019. 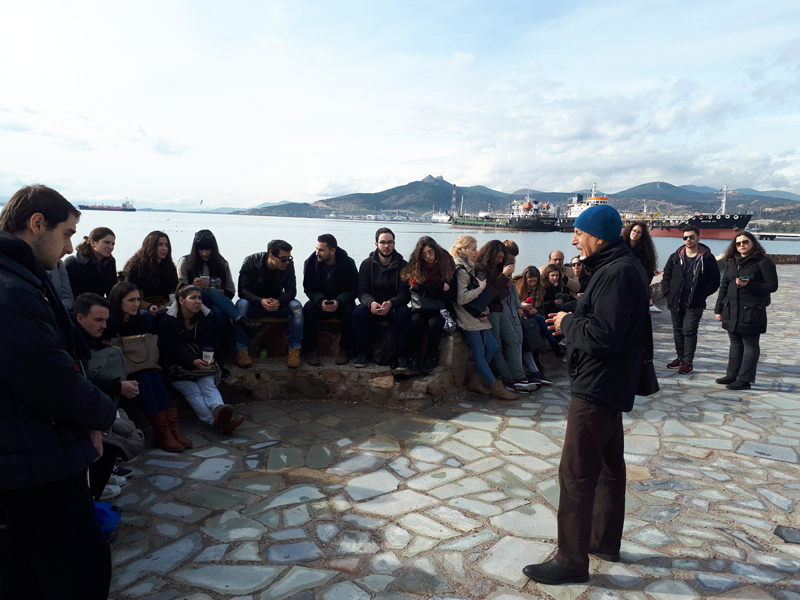 The visit was completed by walking in the city with end the coastal front where the students discussed with Mr. Gavriil Kambani, Vice-Chairman of the Board of Directors of the Eleusis Organization 2021, a colleague of DIAZOMA. 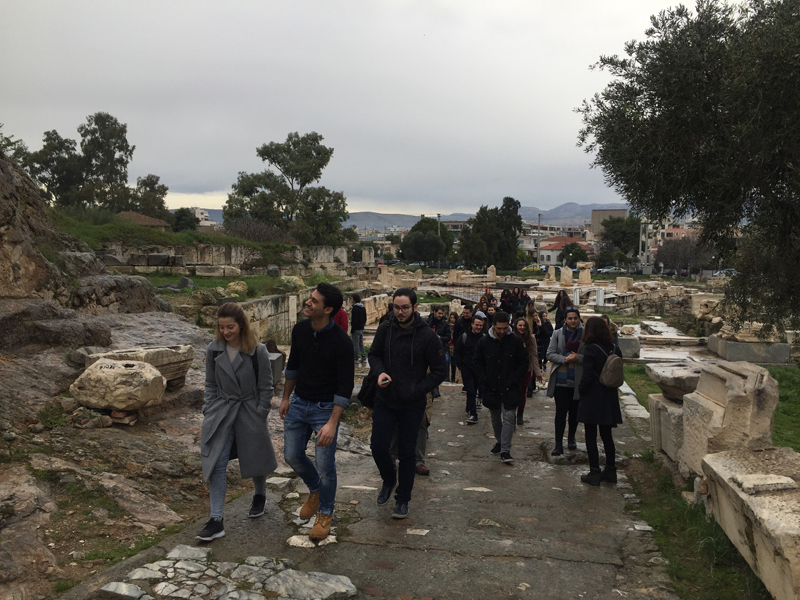 The aforementioned actions constitute the first stage for the spring semester of 2019 for the innovative action “Entrepreneurship, Education and Culture”, in collaboration with DIAZOMA Association, where through discussions and actions a project will be conducted in groups of students on “Proposals for the exploitation of the cultural reserve of Eleusis in the framework of the Athenian Trilogy “. 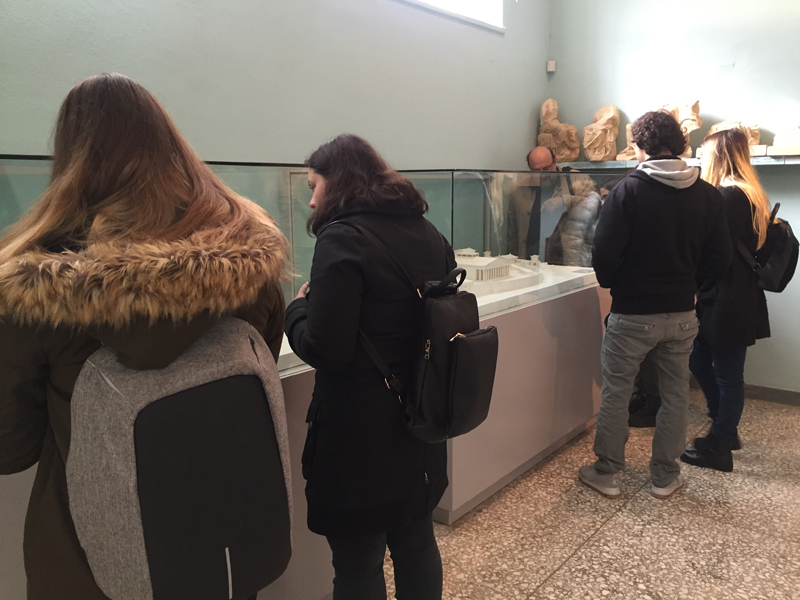 The objective of the students’ projects, in collaboration with DIAZOMA, will be to explore innovative business ways of exploiting the cultural reserve of Eleusis and its connection with Athens, Lavrio and Piraeus (Athenian Trilogy) in order to achieve sustainable development in the area. 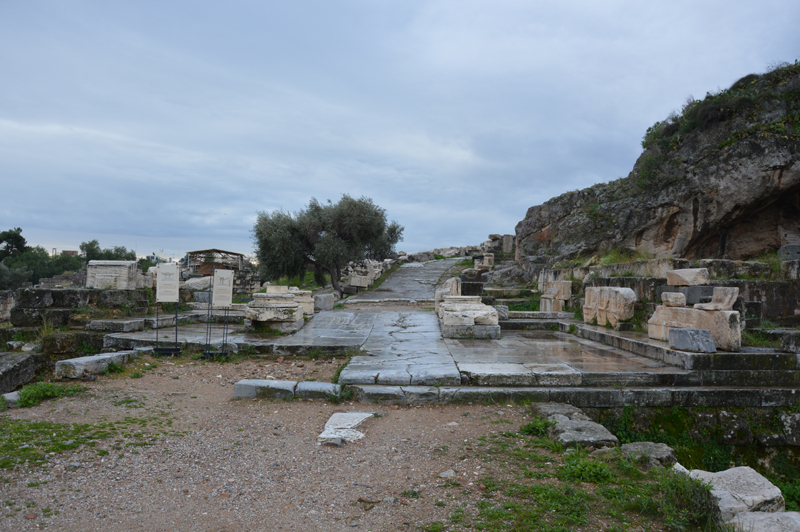 Eleusis, which in 2021 will be the European Capital of Culture, has a significant cultural reserve. 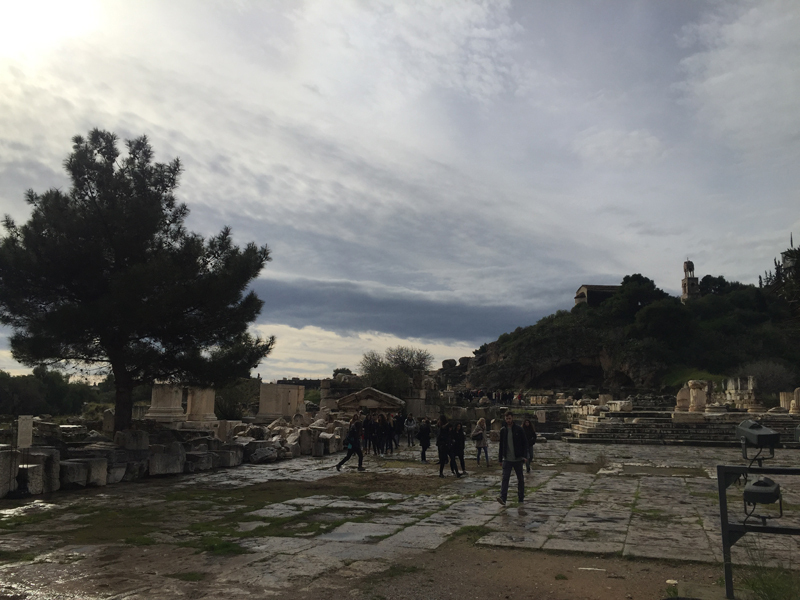 In ancient times, its sanctuary was one of the most important worship centers of the ancient world. In recent years, its cultural heritage includes festivals, folk clubs from all parts of Greece, citizens who are active in artistic and creative fields in general. 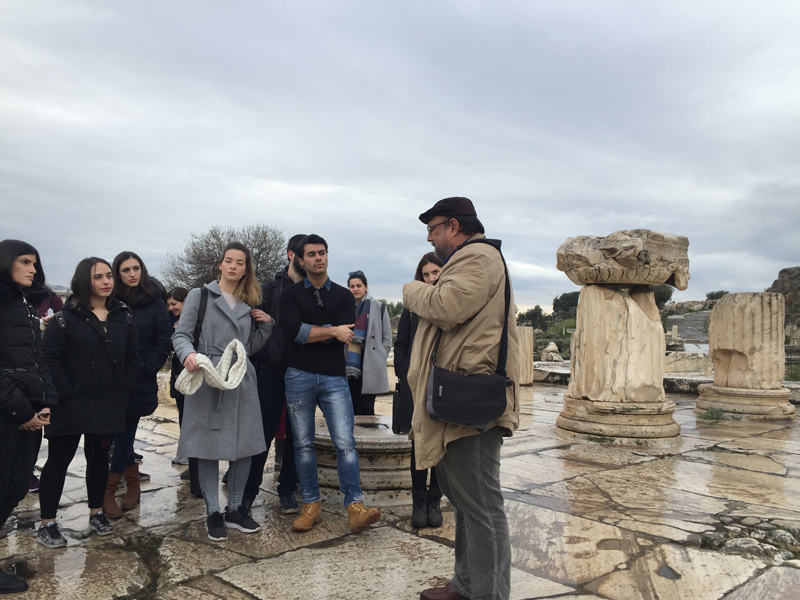 The next scheduled actions for the “Entrepreneurship, Education and Culture” action, in collaboration with DIAZOMA Association, will be on 13 March 2019, 11:00 a.m. – 13.00 p.m. with lecturer Mr. Thodoris Benos, economist (graduate of AUEB), researcher and consultant in the field of agri-food, volunteer of DIAZOMA Association and on 15 March 2019, 11.00 a.m. – 15.00 p.m. with lecturers Mr. Christos Lazos, writer and regular member of DIAZOMA Association, Mrs. Lydia Giannakopoulou, Director of Corporate Communication of “TITAN Cement SA”, Dr. Mary Beloyianni, Philologist, archaeologist, responsible for the educational programs of DIAZOMA Association and Mr. Gabriel Cambanis, vice president of the Board of Directors of the Eleusis Organization 2021, colleague of DIAZOMA. 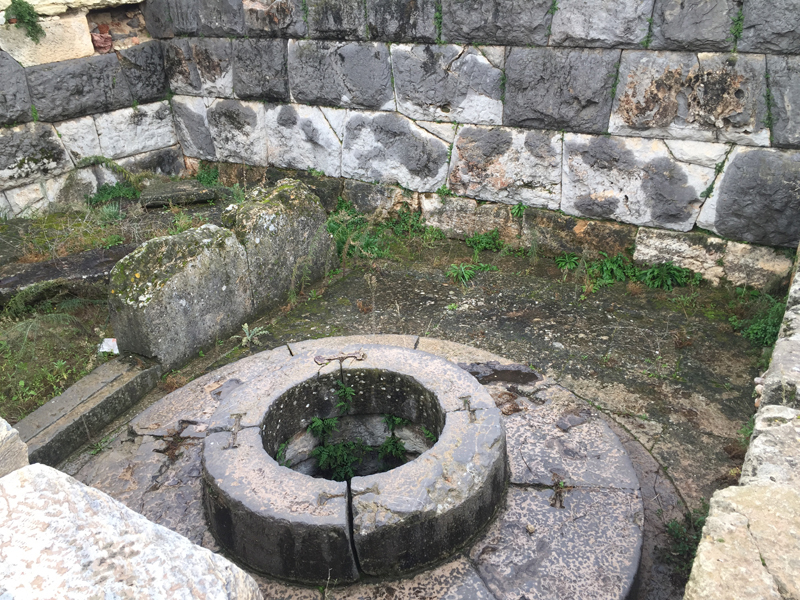 DIAZOMA is an association whose members have placed as the center of their interest the promotion of ancient monuments and their inclusion in our everyday life. 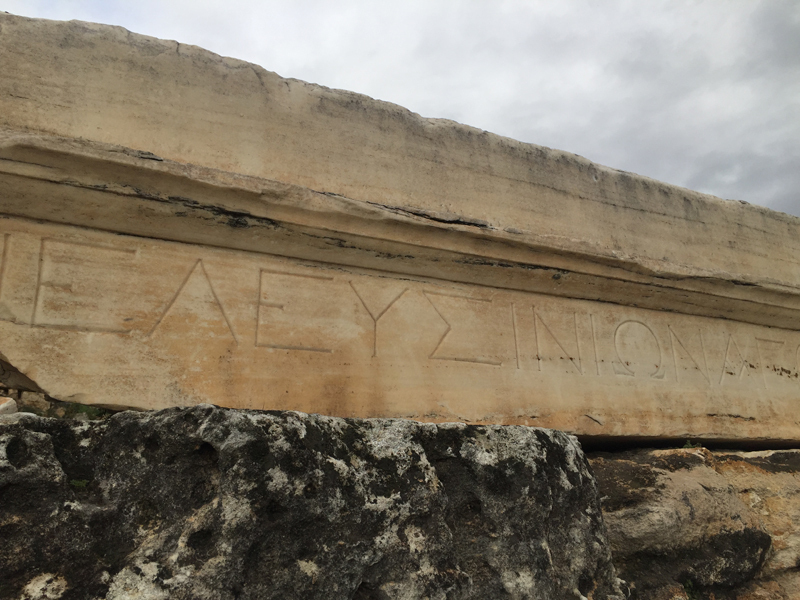 Athenian Trilogy is the implementation of a holistic program for Attica. 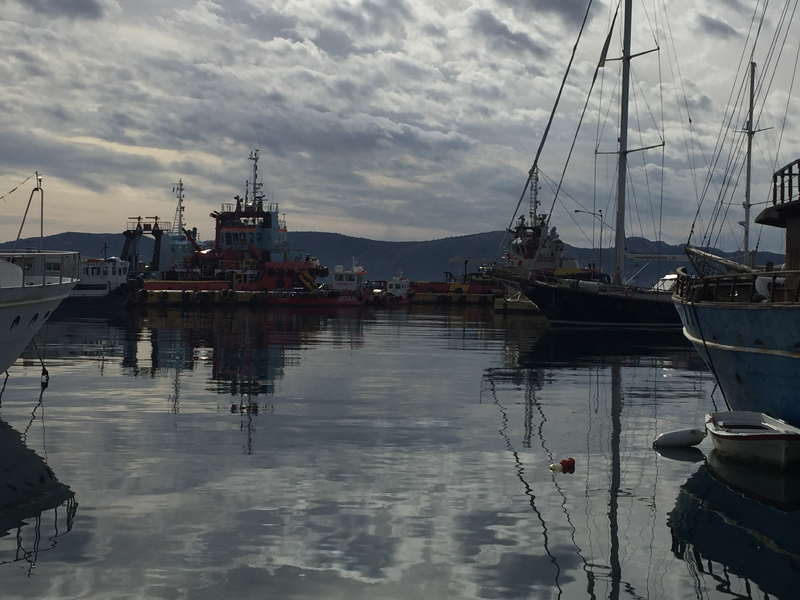 The aim of the project is the restoration in the modern era of the functional connection that the city of ancient Athens had with the sanctuary of Eleusis, Lavrio with the silver mines, and with its port, Piraeus. The TEP AUEB is scientifically supporting this effort of DIAZOMA.